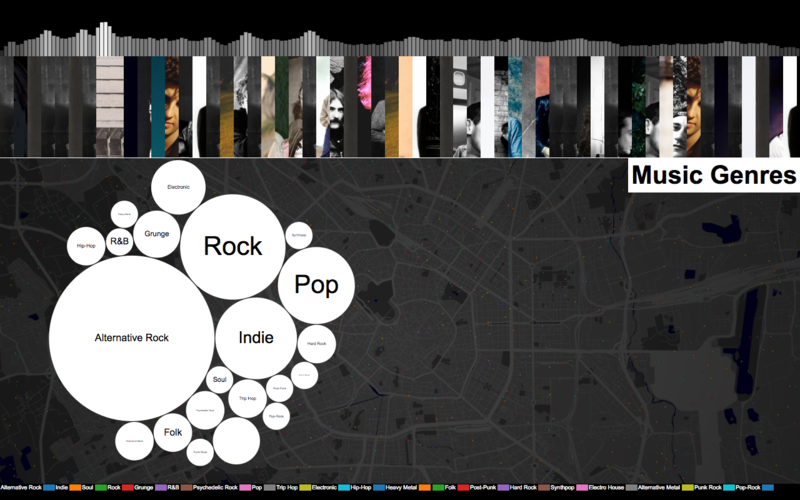 The sound in real time of the City of Milan. 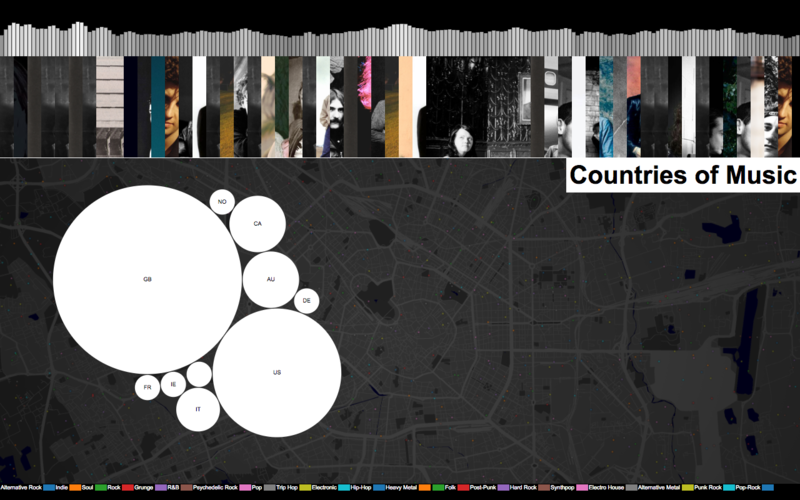 SoMI – The Sound of Milan is an interactive installation, developed on occasion of the international conference Visualized Milan, focused on the Human Ecosystems set in BASE Milano. HER collects in real time public conversations on social networks from people who speak of listening music in Milan ( for instance: messages that mention a specific song, attendance at concert, djset and so on) perhaps in a particular location, creating a real-time map of music preferences in the city. 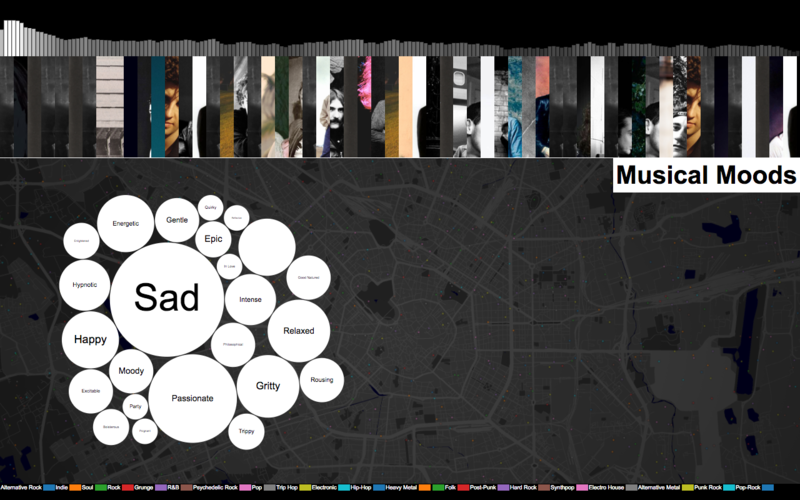 SoMI uses information – gathered and anonymised – to conduct further researches on online music services, increasing the results achieved ( for example, uses LastFM and SoundCloud to define musical genres or BPM to find artists and albums images out). 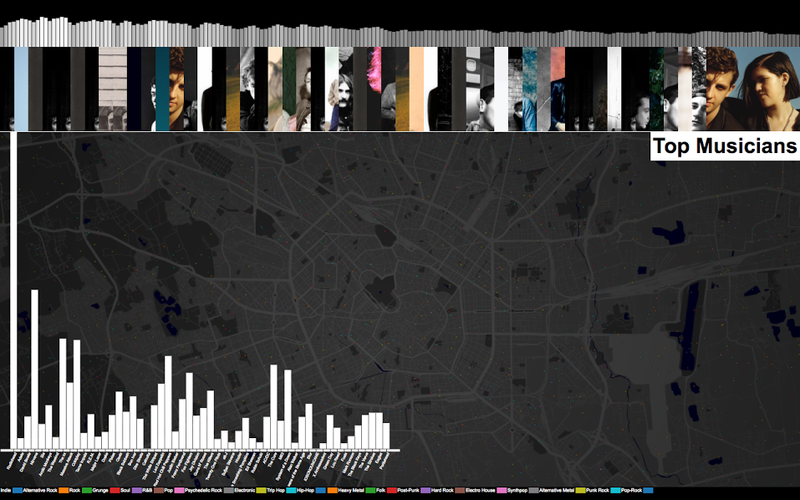 All these elements – songs, genres, places, imagines- blend in a Hit-parade, generated and updated in real time by people conversations about music which take place in the metropolitan area of Milan. This activity is pictured in six dynamic info-graphic, part of the installation. 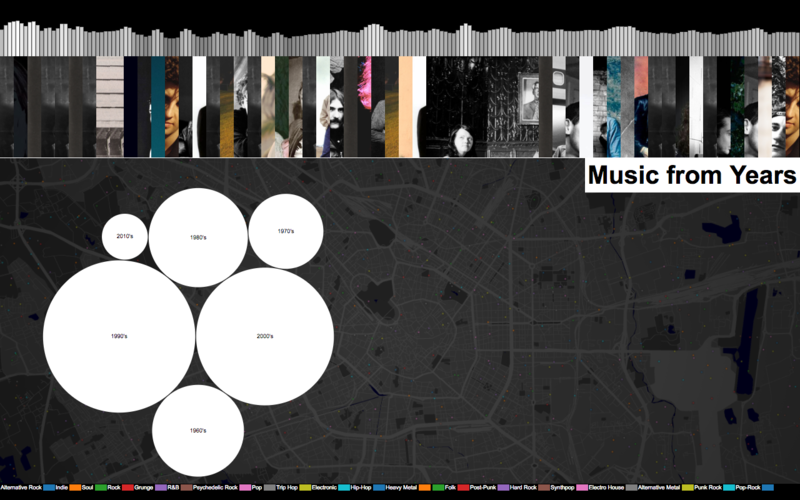 On the background of the map, colored dots stand for the geo-referenced messages: each colour correspond to different music genres as it is explained in the key pictures. SoMI is part of a broader project promoted by BASE Milano in collaboration with HER. The joint goal is to create new strategy for listen, understand and visualize the live music and culture phenomena of the City.